Pro Libertate: Get Your Kids Out of the "School-to-Prison Pipeline"
Get Your Kids Out of the "School-to-Prison Pipeline"
Ever and always alert to new and inventive ways to turn innocent people into fodder for the State’s carceral apparatus, the Missouri state legislature enacted a measure that will treat teenage altercations as felonies if they occur either on school grounds or between public school inmates in transit to or from their local mind laundry. Yes, even grade school students or kindergartners will face the prospect of being detained, handcuffed, and charged with an offense that could lead to a prison term of up to seven years. Rational people would never inflict such grotesque punishments, of course, but as Springfield resident Gavin Devic can attest, rational people are not at the helm of the Show-Me State’s educational soviet. Devic wasn't shunted through the school-to-prison pipeline, but the local drug prohibition apparat will probably succeed in derailing the disciplined, accomplished young man's academic and athletic goals. Just as some people claim that it is possible to experience a "contact high" through exposure to marijuana smoke, adherents of the prohibition cult believe that it is possible for people to experience "contact culpability" in similar circumstances. 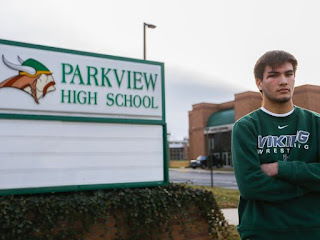 Gavin has maintained a GPA very close to 4.0 while working two part-time jobs and compiling an enviable record of 75 wins in wrestling, an achievement that had earned him multiple scholarship offers. On December 2, faced with the unfamiliar prospect of some free time, Devic allowed himself the indulgence of a short nap that was interrupted when a friend showed up to invite him to go to a dance at Parkview High. As Devic got into his friend's car it became clear that the other young man had been consuming the Satanic Communist Demon Weed Marijuana. Since Gavin had not partaken of the substance that makes incoming Attorney General Jeff Sessions lose bladder control, he assumed that he wouldn't get into trouble. Like too many other people he underestimated the sadistic resourcefulness of those who act on behalf of the evil fiction called the "State." Shortly after he arrived at the dance, Gavin was pulled aside by one of the "resource officers" who prowl the school's hallways in search of young lives to ruin. In compliance with his training and professional expectations, the officer lied to Gavin by claiming that he displayed all of the indicia of marijuana use, including the fact that his "eyes were low" -- something that could be explained by the student's half-Asian ancestry. As search of the friend's car turned up a small quantity of the prohibited plant and related accessories. Under questioning, and doubtless seeking to mitigate his own punishment, the friend initially said that the pot and paraphernalia were jointly owned (as it were) by the two of them. This was an obviously self-serving claim on his part, but it was sufficient to "prove" Gavin's guilt in the eyes of people predisposed to punish, rather than investigate. The perfidious friend later recanted his story and provided a statement exculpating Gavin. At his own expense, Gavin obtained a drug test proving that there was no THC in his system. 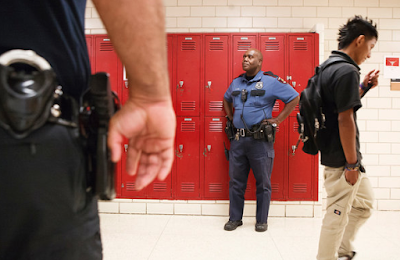 An incident report filed by the school resource officers grudgingly admitted that “nothing illegal or prohibited” was found on Devic’s person. All of this mattered not to the local prohibitionist priesthood, which cannot look upon pot use with even the least degree of allowance, and will sternly punish even the appearance of "evil." Gavin was suspended from school for ten days, barred from athletic competition for a month, and lost his A+ scholarship eligibility, which would have covered the first two years of in-state tuition at numerous colleges. The "citizenship" component of that scholarship was ruined by the suspension. "I am losing all the options I was setting up for myself," Gavin laments. This is entirely in harmony with the purpose of the state-run school system, which is to indoctrinate inmates in the idea that their lives belong to the state, not to themselves -- and that those lives can be ruined, in an instant, at the whim of those who presume to rule the rest of us. Please be sure to check out the Libertarian Institute. The detestable rural establishment Protestant US political class caught on right away to the fact that their Prohibition project of the 1920s acted to set up the lucrative 'price supports' of a black market, black markets incited the formation of gangs, gang formation incited grizzly gang warfare, and gang warfare tore apart the urban Catholic neighborhoods in which it arose. The destruction of Urban Catholic political power was the desired outcome of Prohibition and on that score Prohibition can be said to have been a success. A similar power struggle arose in the 1960s in which civil rights rebellions forced an end to the rural white establishment political class's Jim Crow regime. It was an easy matter for the wily political class to dust off their shelved Prohibition project, to redeploy it this time against minorities and countercultural types under the guise of a War on Drugs. The level of destruction wrought by the political classes drug warfare project has been unequaled in human history. Once thriving American cities like St Louis, Newark, and Chicago have been reduced to warzones unfit to live in. The US political classes drug warfare project has functioned as a factory for the production of delinquents, murder, and mayhem. It is best understood as a form of savage payback to the minorities who once dared have the temerity to challenge Jim Crow. Its destruction by now literally reaches everywhere as your story shows. The devil himself surely despairs of ever devising anything to equal its catastrophic destruction. There may be a silver lining in all of this. Gavin may not go on to "college", and further increase his indoctrination. In fact, this may be a turning point in his life where he becomes a strong advocate for liberty. 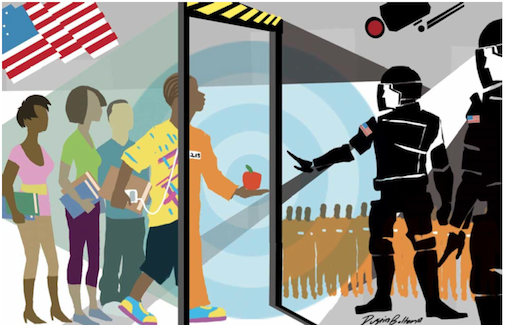 Welcome to the United States of America, the so-called "freest" country on earth! If the US is "free", I'd hate to see what a police state looks like. The whole point of being a LE Parasite is to move up the ladder by setting people up. Doesn't matter if they didn't do anything wrong, all the parasites from the cops to the government attorneys are all in on the scam. The more they move up the ladder the more pay they receive but the largest prize is that taxpayer paid retirement that is based on wages goes up. Government employees on any level are not on the side of the people. They see the people in a negative light, even if they refuse to admit that. If the kid wants to sue the people that destroyed his hopes and dreams and for no good reason. He has to get a lawyer who will want a lot of money with a coin toss on the outcome. He will walk into a courtroom that is a closed union shop with BAR lawyers and he's not allowed to talk but when told to do so and basically what he's allow to say. The kid has been scammed and the people who did that to him, have committed a crime against him, real criminal acts in fact. what was done to this young man is an abomination which could only be brought against him by those who, themselves, are abominable. isn't it strange that such types are ALWAYS in control? ruining lives with impunity, including the obviously innocent, cannot and should not be tolerated - ever. whatever happened to 'proof' and 'innocent until proven guilty'? we know the answer: those things disappear in a police state run by sociopaths and psychopaths who are so delusional they thing everyone and everything (yes, even land) is guilty of something. all they need do is find, or manufacture, the 'proof' should some poor soul come into their field of view, always with a crosshair superimposed on that sociopathic and/or psychopathic field of view. this nation has become obscene in its hypocrisy, murderous in it domestic and foreign policies and mismanaged into a morass from which it cannot survive. The Parasites have gone wild, not only is this young man a crime victim of government parasites but so it the guy in the link above. The larger problem is, the parasites all stick together so there is really no place a decent and lawful citizen can turn to when government parasites commit criminal acts on them.